Sheikh Hemayatullah Haqiqzai has graduated from the College of Islamic Law of the Islamic University of al-Madinah al-Munawwarah, Saudi Arabia. 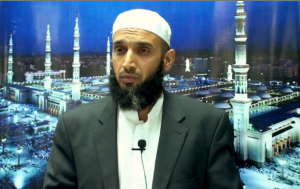 Originally from Afghanistan, the Sheikh lives in Glendene, West Auckland, He is also one of the founders of At-Taqwa Trust. Sheikh Hemayatullah hopes that one day Insha Allah there is a Masjid in every corner through out New Zealand.